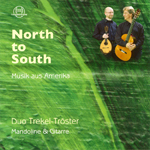 Steffen Trekel and Michael Tröster form a top ranking duo in this exquisite cast of chamber music musicians. 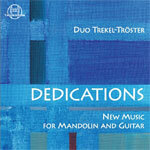 Their experience over many years in the field of chamber music in the most diverse casting of players has allowed this mandolin-guitar-duo to meld quickly into a very special unit. Their pure joy in musical expression and absolutely limitless technical possibilities on their instruments guarantee an intense musical experience. Klassik, Jazz, Tango, Klezmer und Samba aus Nord-, Mittel- und Südamerika.